This Puccini neck tie is a great way to have fun with your wardrobe. 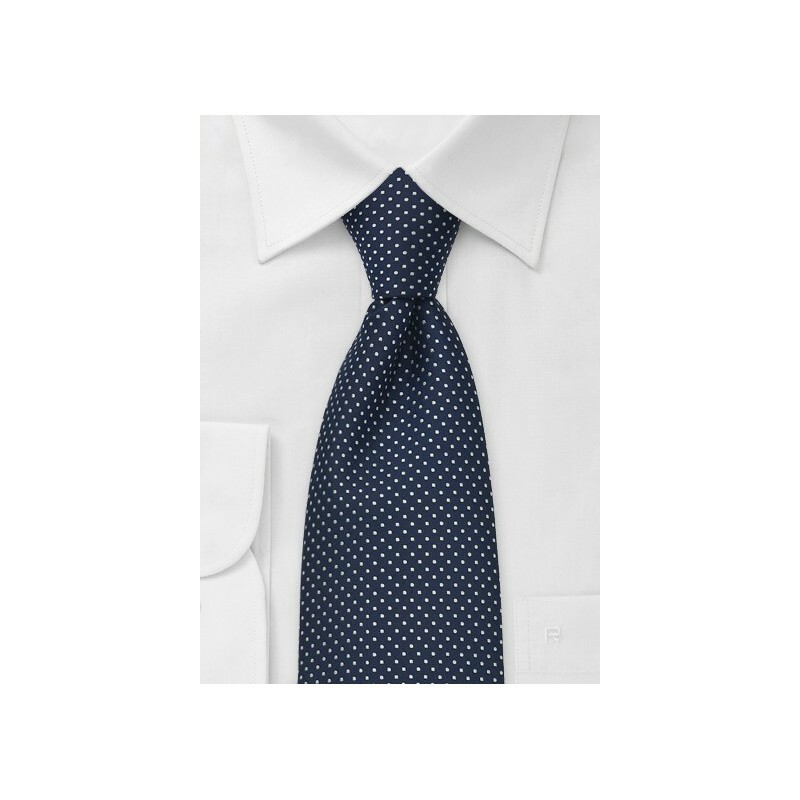 The navy blue and small white polka dot design works wonderfully with just about any outfit, and can be worn to various occasions. So whether you are merely going to a business meeting, or you're going on a date, this tie should be the first on your list. 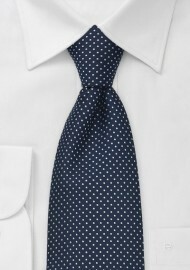 For a business meeting, we suggest pairing this tie with a navy suit and a baby pink dress shirt. If you're looking for an outfit to go out in at night, we like this tie with a heather grey suit and a white or a pastel colored dress shirt. Please note that this is an extra long tie for the big and tall man.